You are looking at Bluewarm design in our 2019 Yearly Calendar with Notes Printable Chamfer Collection. We specially designed this 2019 Yearly Calendar with Notes Printable, Bluewarm Style for you, it’s great! With cutting edge design, bright colors, clear fonts and large space for notes. It is great for personal, business, school and family work. And of course, it’s free for you. 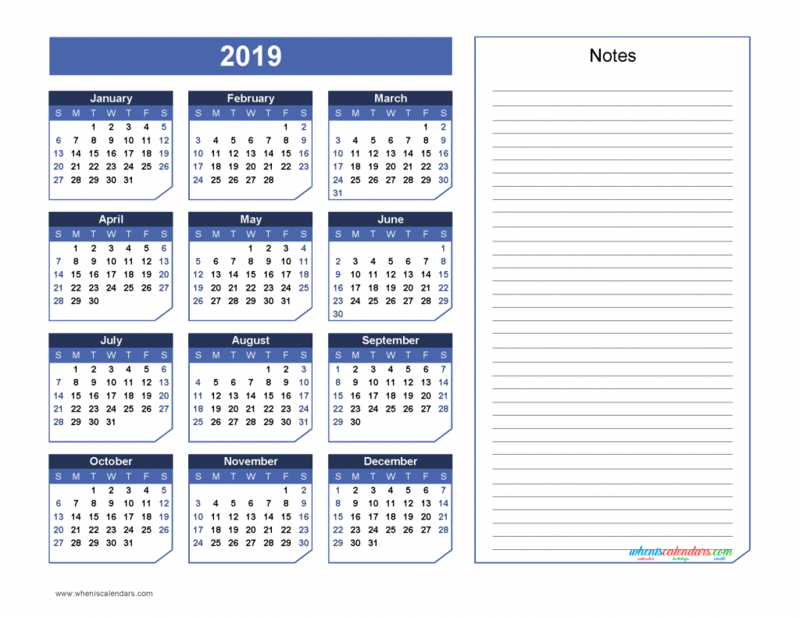 Below you will find and downloadable all calendar templates of the 2019 Yearly Calendar with Notes Printable Chamfer Collection.